Applause to Harvey Meiselman, who just forwarded news of two baseball retirees now charging for signing through the mail. 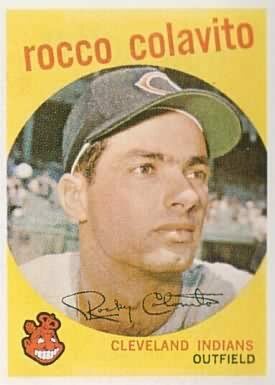 Rocky Colavito wants $55 per autograph! Sure, www.sportscollectors.net has just two FREE responses logged in the last decade-plus. He hasn’t cared for fan mail for years. Oh…his signing agent says they’ll sell you their autographed card for just $70. Colavito’s pricelist/list states that a portion of proceeds will go to his church, builders of a recent school and gymnasium. Hmmm…how big is this portion? The contrasting news about Darren Daulton’s $15 per TTM signature fee was less jolting. Daulton is facing a dire health forecast, dealing with a malignant brain tumor. I could envision him liking help with his mail, considering his condition. However, the idea of Daulton costing is a shock to collectors watching the SCN site. He’s responded more than 400 times, good for 90 percent of all attempts. My problem with this change is that even Daulton’s website says he’ll be resting at his Florida home, far from the agent’s Pennsylvania address. Nonetheless, if you’re interested, gets more details first from Todd Schafer at Under The Radar Sports Promotions. Contact sales@undertheradarsports.net.